1 MSRP excludes taxes, title, license fees and $920 destination charge (Alaska $965). Actual dealer price will vary. See dealer for complete details. 3 Based on EPA estimates for Mazda3 Sedan with Premium Package and FWD, 27 city/36 highway. Actual results will vary. 4 Based on EPA estimates for Mazda3 Sedan with FWD and without Premium Package, 26 city/35 highway. Actual results will vary. 5 MSRP excludes taxes, title, license fees and $920 destination charge (Alaska $965). Actual dealer price will vary. See dealer for complete details. 6 MSRP excludes taxes, title, license fees and $920 destination charge (Alaska $965). Actual dealer price will vary. See dealer for complete details. The available Bose® 12-speaker premium audio system carefully considers both human and cabin design characteristics. 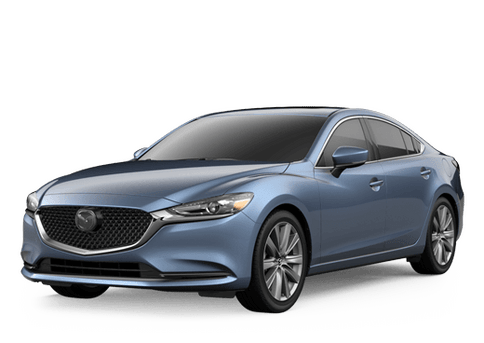 From woofers mounted in the front side panels to the positioning of high-range speakers, engineers studied every detail of how sound interacts with its environment; Achieving an auditory experience unlike anything ever felt in a Mazda. With the available suite of i-Activsense® safety features, sophisticated safety innovations alert you to hazards to help you avoid collisions-or lessen their impact. These features help improve your visibility and awareness of the road and help monitor the traffic conditions around you. The available predictive all-wheel-drive system with Skyactive-Vehicle Dynamics with G-Vectoring Control Plus helps forecast and react to the possible loss of traction by actively monitoring everything from outside temperature and windshield wiper usage to the driver's steering and braking patterns.